Paris is known for its dense cultural and artisitic network. Museums, architecture, history or music, even the town design has stories to tell and is surrounded by myths and anecdotes. Paris’ unique urban layout is divided into 20 neighborhoods, or arrondissements that are laid out in a spiral pattern starting from the center of the city and referred to by numbers. Each arrondissement has its own unique character, ranging from downtown hustle and bustle to cozy residential streets and everything in between. The popular Marais, including the 3rd and 4th arrondissements, combines unique Renaissance architecture with great shopping. The fun vibes of the Latin Quarter in the 5th and 6th arrondissements make a great place for students and young travelers to hang out. The popular but unmissable Champs Elysées is often described as the Times Square of Paris. But these areas just scratch the surface! Paris’ winding streets and alleyways offer unique squares, neighborhoods, residential areas, hidden cafes, and independent boutique shops around every turn. It’s up to you to discover them all! No matter how much time you spend in Paris, there will always be more to learn. Paris has been an important center of politics, commerce, art, music, revolution, and war throughout the world for hundreds and hundreds of years. Paris’ ancient walls and streets hold infinite stories of love, drama, and the human experience. If you’re willing to just pay attention, Paris might just share some of its secrets with you - especially with the help of a historic tour around its different neighborhoods. You will find endless different styles of architecture and cultures such as living monuments. History is around every corner and under every cobblestone in Paris, from the most important tourist attractions to the old cafe on the corner. There are few places in the world where the modern convenes with the ancient in such a rich and authentic way. Wandering through the streets of Paris is like walking in a life-size timeline of architectural styles and techniques throughout the ages. You will discover the Middle Ages and its iconic designs, as well as every era of Parisian history. Paris has witnessed it all, you will find the ruins of ancient Roman baths, the flamboyant opulence of the Napoleonic era, the vestiges of the French Renaissance, the glorious beginnings of the Art Deco style and its buildings. Streets stand as evidence today of all these historical events. Whether you’re an architecture connoisseur or not, the sheer beauty, elegance, and intricacy of these endless styles and designs are sure to impress and inspire. While Paris holds many secrets deep inside its walls, it’s no secret at all that the city is one of the top destinations in the world for museums. 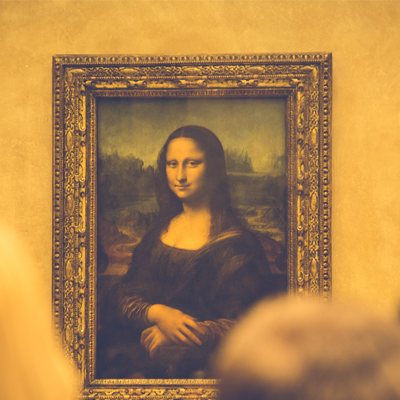 Meet some of Paris’ oldest celebrities, including the Mona Lisa and the Venus de Milo at the famous Louvre Museum, where it’s estimated you could spend several months trying to see all of the pieces of art in the galleries. You also can’t miss the Musée d'Orsay, a former train station boasting some of the most important impressionist and post-impressionist work in the world. Though many argue that the gorgeous building itself is one of the museum’s most stunning pieces. No matter what your interests are -- history, architecture, culture, or time period - Paris’ museums are endless, with enormous famous collections, and small charming galleries, each with their own set of curiosities and stories. If your first thought of music in Paris is the classical genre, you’re in for a real treat. Paris is home to some of the top orchestras, operas, and ballet companies in the world with live performances at theaters and concert halls such as the brand new Philarmonie de Paris, where the Orchestre de Paris plays regularly. Forget the recorded classical music you listen to on your phone or from your computer -- there are a few musical experiences as rich and sensual as a live performance by one of these orchestras, in a stunning theater where Parisians and visitors alike have indulged in musical delights for decades and even centuries. But don’t limit yourself, Paris offers a diverse range of musical experiences, in genres as diverse as rock, jazz, electronic, African fusion rhythms, and so on. In a city that has been such a melting pot for so long, there’s no limit to the musical styles you might encounter at any given night in any given bar, club, or theater. It’s up to you to stumble upon the next one!